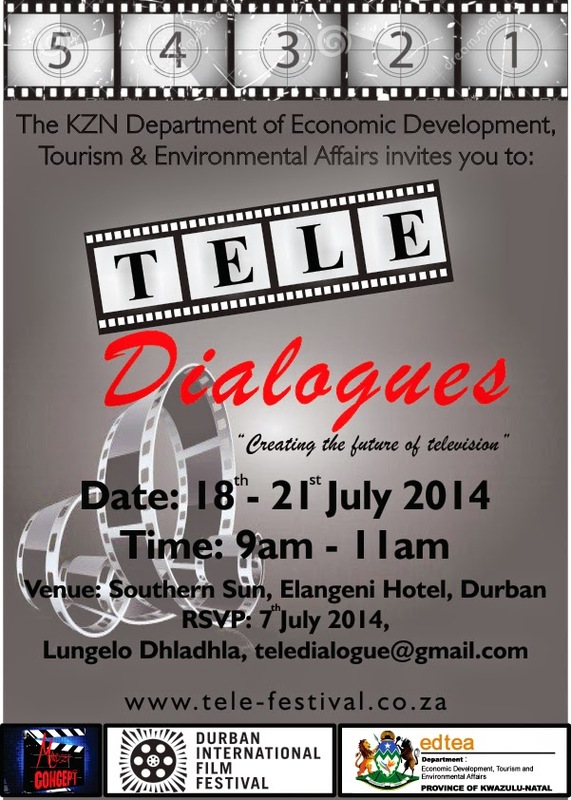 The KwaZulu-Natal Economic Development, Tourism and Environmental affairs and the Durban International Film festival invites you to The Tele - Dialogues. "The Tele - Dialogues is an initiative specifically created to outline and develop the television industry in KwaZulu-Natal, South Africa and Africa. Launching for the first time this year The Tele-Dialogues comprise of a panel of strategically selected industry game players from across the globe who will be sharing ideas and stimulating discussions aimed at developing a sustainable and profitable television industry across the African continent using KwaZulu-Natal as a gateway".